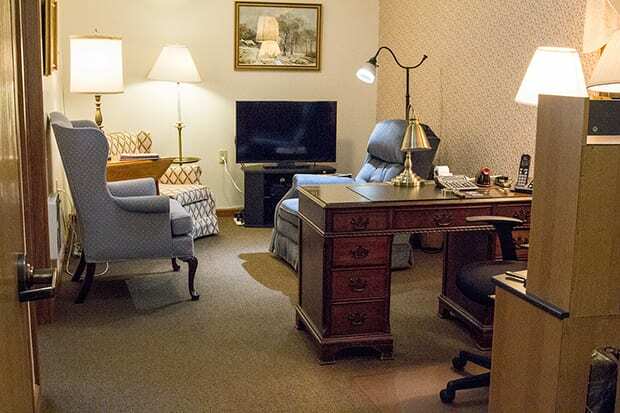 At The Inn of Belden Village, you will find beautiful, spacious one bedroom assisted living suites. With privacy desired, each room has its own private entry, a bathroom and bedroom. 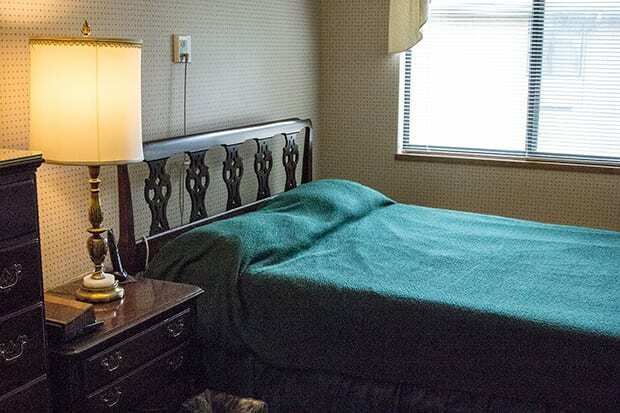 Designed for comfort and convenience, all rooms are fully carpeted which make them easily accessible for wheelchairs. 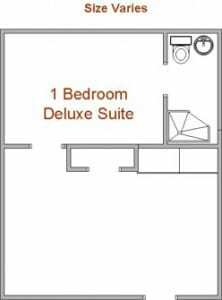 As a special feature, we have added a kitchenette with small refrigerator, sink, microwave oven and cabinet space. 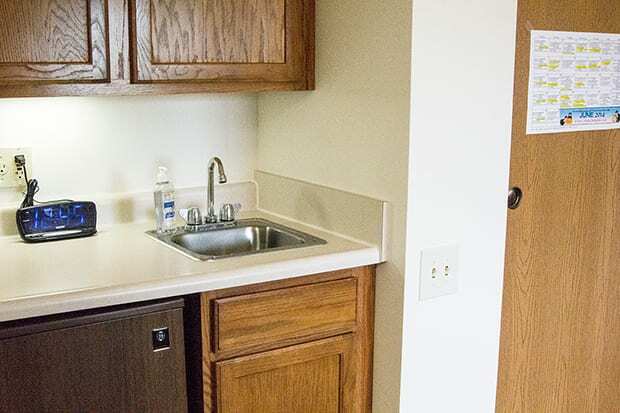 The kitchenette is intended for light food preparation and snacking only. Daily meals are prepared by our excellent chef and served in the dining room. Although our suites are beautiful, residents bring their own furnishings and mementos from home to decorate their own suite. Our residents enjoy being surrounded by familiar things that bring back happy memories and provide individuality. They love to share photos with each other, as well as the stories that go with them. In addition to the features of the one bedroom suite, the deluxe suite is more spacious with a decorator’s touch. Pictures are great, but they just don’t do us justice. Tours are available of our senior housing options. 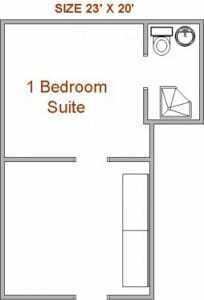 If you would like to see our one bedroom suites, contact us to set up a time to tour.